So, the new Chromecast has been out for a couple of months. We’ve done a comparison video with Fire TV stick. We concurred that its best streaming device to cast or mirror your phone or laptop. There is a lot more you can do with your Chromecast. 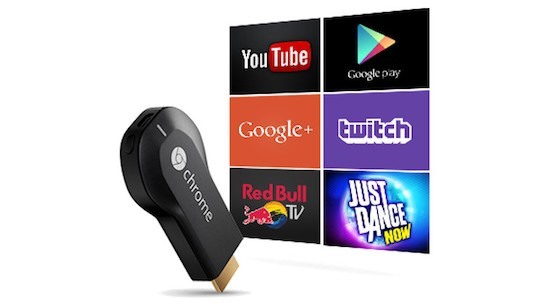 There’s plenty of apps that have been developed for Chromecast that Google doesn’t advertise much, like - playing games, giving PowerPoint presentations, or even turning your TV into a giant clock. Let’s check out some of the best Chromecast apps to make the most out of it. I mean, you’ve got nothing to lose. As the name suggests, SpeedCast is a simple app that lets you test the connection speed of your Chromecast device. The app runs on all Chromecast versions and is completely free to use. Try it out. Allcast lets you cast your content from your smartphone to your TV. It doesn’t require any account login or subscription, simply connect to your Chromecast and start streaming. You can cast images from the camera roll, audio from the system, video files and even Tweet streams. You can also access files from your Drive accounts to cast content to the TV. Allcast is free and ad-supported. If this sounds good, give it a go. Next up we have Clocks on Chromecast. The default clock option on Chromecast is available in the Ambient settings on the Google Home app but you can only enable or disable it. This app is a great addition if you don’t want to see the screensavers on your TV and want a clock instead. Choose from analog, digital and binary clocks, and set them as your Chromecast background. Videostream streams local content from your computer to your TV using Chromecast. It doesn’t require any setup. Just run the installer and select a file to stream. You can control the playback using the companion Android and iOS app. It works just like Plex but is completely free. The app is free to use but if you need extra features like playlists, extra subtitle settings, night mode, autoplay, and more, then Videostream Premium is for you! Overall, if you want to stream videos from your computer but don’t want to pay for Plex, Videostream works just great. Dead pixels on your TV could be annoying. While this Chromecast app won’t fix the dead pixels, but would help you identify if it is actually a dead pixel or just a smudge on the screen. You simply install the app on your smartphone, connect to the Chromecast device and tap the test button. It has all the standard testing screens which cover every pixel on the TV screen. Dead pixel tester is for free on the Play Store. Next up we have a drawing app for Chromecast. It lets you draw on your phone and see it show up live-as-you-draw on your TV. Useful if you have kids at home. Or if you are looking for more, try out Doodlecast. It’s an interactive drawing game for your Chromecast. One player picks a secret word to draw on their phone or tablet while the other players in the room try to guess it. CardCast is a card-matching party game designed for Chromecast. The app has 4 popular decks, Best of Cardcast, A Mishmash of Madness, Apples to Apples Party Box, and Cards Against Humanity. You can choose one or all the decks to play the game with your friends. Rules to this game are simple: A judge draws a call, Players submit responses that match the call. The judge picks a favorite response. Rinse and Repeat. Cardcast is for free, give it a go. Next game in our list is quite popular - Just Dance Now. This game uses your phone as a motion sensor and casts the gameplay to the TV. You can join one of the several dance rooms to participate. You can choose popular songs and dance to the beat and earn coins. Just Dance Now is free and available for Chromecast and Apple TV as well. And finally, a list couldn’t be complete without a podcast app. Pocketcasts is my favorite podcasts streaming app for Chromecast. You can search and subscribe to all of your favorite podcasts like Joe Rogan and a16z. Using Pocketcasts to stream podcasts to the TV helps me sleep sometimes. The app, however, is not free and costs $1.99 on the Play Store. There you go, these were some of the best Chromecast apps you can get in 2019 We’ve also done a video on Chromecast tips and tricks. Don’t forget to subscribe. We’ve got plenty of videos on how to unblock geo-restricted content to watch American Netflix, Hulu, Pandora or Amazon Prime Video. The list goes on. And it’s only 16 cents a day. Thanks for watching and reading and see you in the next one.